The new models of the Cruise 2.0 have been improved to meet the demanding challenges of everyday commercial use; making them ready to take on the harshest environmental conditions, for example with dinghies and sailboats up to 3 tons. 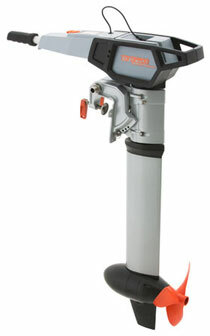 The Cruise 2.0 is comparable to a 5 HP petrol outboard and can be easily mounted on your boat with a couple of tools, regardless of whether the remote or tiller version. A power supply from at least one lithium battery (Power 26-104) or with lead batteries (lead-gel or AGM) must be provided for operation. High-efficiency outboard with 2,000 W input power, equivalent to a 5 HP petrol outboard. We recommend the Cruise 2.0 for dinghies and sailboats up to 3 tons. Shaft sealant rings mounted in protected area on the inside of the pylon. Aluminium fin coated in polyurethane foam provides additional protection from impact when running aground. The Cruise 0.8 is ideal when long running times are more important than power. Whether for special applications such as rental or schools, or simply because your priorities are set on staying power – simply contact our sales team to discuss the special version Cruise 0.8. Minimum order volume 10 units. As a lithium battery, the Power 26-104 provides far greater performance with lower weight than conventional lead batteries. In other words, it does not weigh down your boat unnecessarily – and you benefit in terms of range and power. 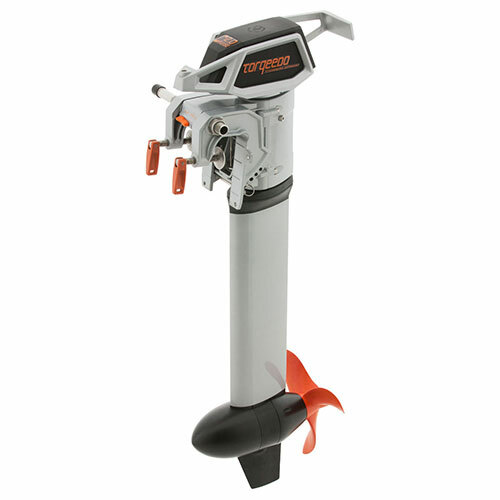 A Twin Cruise outboard system consists of two Cruise models (2.0 R or 4.0 R) and the Twin Cruise extension set, which contains a dual throttle and tie bar. The standard Twin Cruise mounting assumes a transom width of at least 76 cm.